1. How did you get to your current position, and what do you enjoy most about your job? The thing I enjoy most of all about my job is getting an athlete back to their sport. I do this as a part of my job description, but I chose this career and job because I love it! It is the best feeling when I can help an athlete to stay in their sport while managing an injury, or when I can finally get them back onto the ice, court, field, or course injury free! 2. Who has had the most influence on your career? Mark Lafave, Professor and Coordinator of Athletic Therapy at Mount Royal University. Mark was a professor of mine while I completed the Advanced Athletic Therapy Certificate at Mount Royal University in Calgary. He pushed me to further learning, and gave me the confidence that I needed to take on any athletic therapist role when I completed school. I am still in touch with Mark today and hope to have him as a life-long mentor. 3. What is your greatest sporting moment or achievement? While working with the Jr. A Mountaineers Lacrosse Club, I was a part of their 2014 playoff run where they competed in the Western Final. We ended up losing the series 3-1, but that one win was the first time in 11 years that an Alberta team had beaten a British Columbia team on the road to the Minto Cup. My personal greatest achievement was going to Ontario Provincials for women’s curling in 2012. My women’s team from North Bay, Ont., competed for our first time in Kenora, Ont. We didn’t do as well as we had hoped, but it was an amazing experience to be at an Ontario provincial and play against lot of highly successful teams on the Canadian and World Curling circuits! 4. How would you define a Nipissing University student-athlete? A Nipissing University student-athlete is a well-rounded human being. Nipissing University is ranked third in in Canada for student satisfaction and I think that is in line with our athletics program. Our students are smart, competitive, and resilient. I truly believe that our student-athletes are the epitome of Nipissing University Athletics core values of P.R.I.D.E; Passion, Respect, Integrity, Dedication, and Excellence. 5. What does success look like for the Nipissing University athletics program? Success for Nipissing University’s athletics program is continuing to build on the foundation that we have. 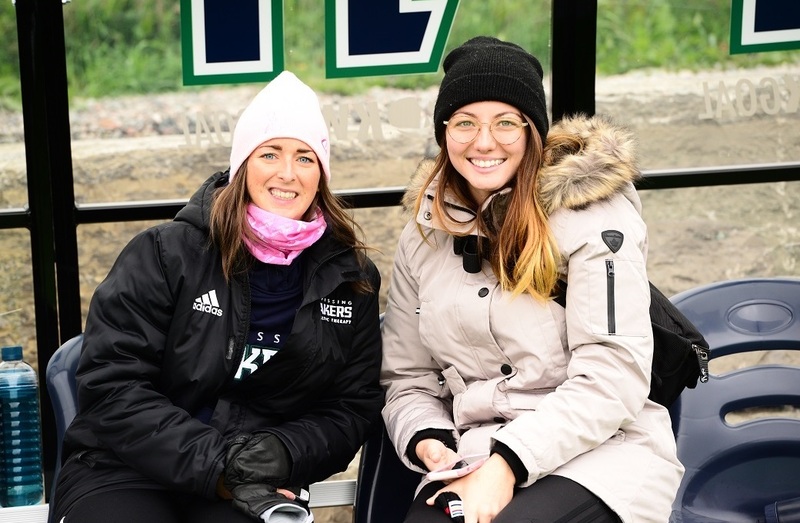 Our teams are becoming increasingly successful, and proving their position within the Ontario University Athletics field. Ultimately, I would like to see one of our teams break into a U SPORTS National Championship within the next five years. 6. What’s the biggest challenge you face in today’s sports world? I think the biggest challenge that I face is that I am relatively young in the area of athletic therapists in the OUA and U SPORTS. When I started at Nipissing University, I was a new graduate from Mount Royal and I felt that a lot of people thought I wasn’t qualified enough for this position. Even though I have been at Nipissing now for (going on) five years, I still feel as if I need to work on bettering myself and my skills so that I continually prove that I am meant to be here. I think that is something I will always need to work on for myself and my own confidence. 7. 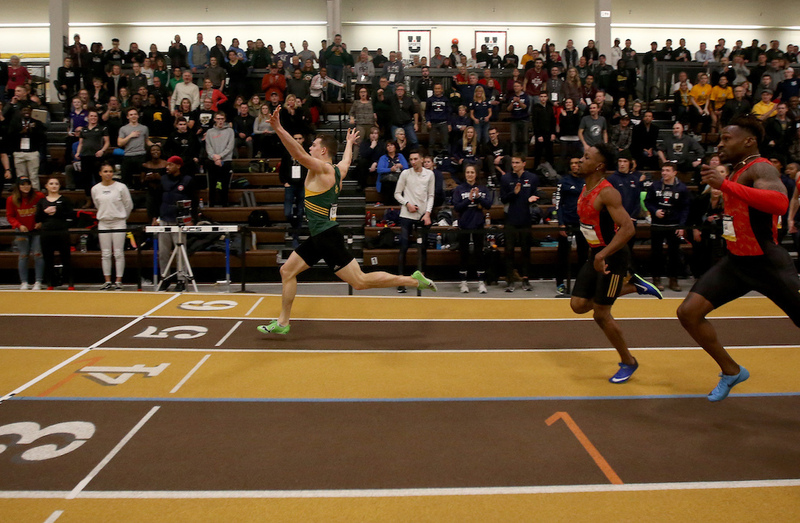 Where would you like to see Canadian university sport in the next three to five years? I would like to see Canadian university sport on the world stage. Our U SPORTS student-athletes competing and finishing in the Top 10 medal races at the Summer and Winter Universiades. 8. If you could sit down for dinner with one person in the sports industry (athlete, coach or manager), who would it be? Why? What would you talk about? I would sit down with Nikki Huffman, head trainer for the Toronto Blue Jays. In 2017, Nikki became the second female head athletic trainer in MLB history and is still with the Blue Jays today. I would talk with her about her journey and how she was able to prove herself in the industry of professional sport that is so filled with male athletes and employees. 9. What would you say to a sports fan who’s never watched a U SPORTS game/tournament/competition? You have to watch! These athletes are talented and inspiring. Being an athlete has similar time commitments as having a full-time job, and these athletes are also attending school, many of them even hold part time employment while competing as a student-athlete. Our athletes have worked hard to get to where they are and it shows! 10. What do you enjoy doing when you’re away from work? When I am away from work I enjoy doing anything with friends. A big part of being involved in university athletics is the time and commitment that we put into our careers during the varsity season. I take advantage of the offseason and become a beach bum in the summer. During the winter months my escape from work is curling. I have curled since age 6, competitively for a total of 15 years. Currently I move in and out of competitive play, and consistently curl two times per week.